Royal Caribbean Cruises Ltd, the parent company of Royal Caribbean International, is looking to renovate and expand its corporate headquarters. South Florida Business Journal reports the project would cost approximately $300 million and be located at the southwest corner of Dodge Island next to where its older offices sit now. The new campus would expand the company’s workforce capacity from 2,200 to 4,200. The plan is to would demolish the building at 1040 Caribbean Way. It would build a Terminal K parking garage with about 1,820 spaces plus a new unspecified size office building. Royal Caribbean would perform major renovations to the buildings it leases at 1050 and 1080 Caribbean Way. When finished, the renovated and expanded headquarters would include a fitness center, a daycare, a cafeteria, an auditorium and a maritime innovation center for the design development and renovation of cruise vessels. 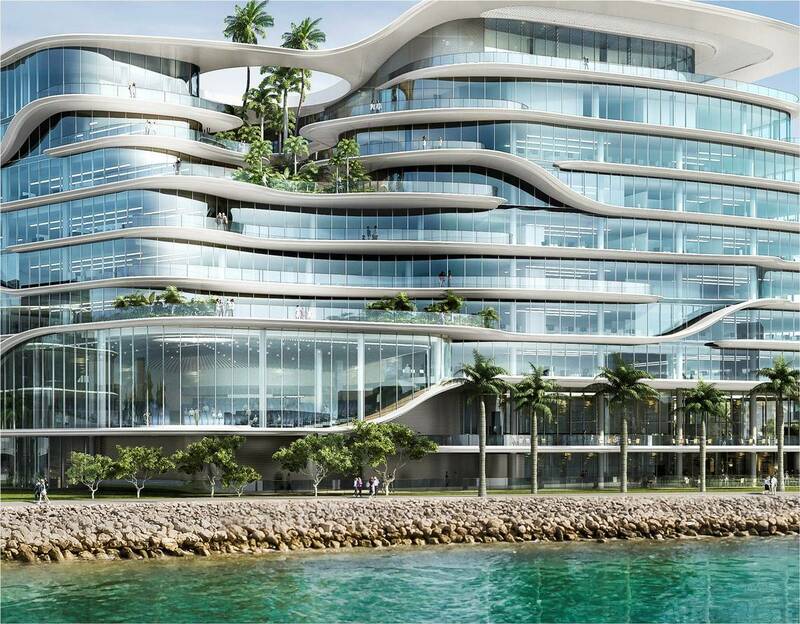 The Miami Herald reports the design for the new buildings is by New York architecture firm HOK. The building is designed to look like a ship. Royal Caribbean’s giant crown logo will be emblazoned on the roof to catch the eyes of airline passengers overhead. Royal Caribbean’s Chief Financial Officer Jason Liberty also talked about the focus on climate change and the need to make changes to the buildings now. Liberty said to prepare for inevitable sea level rise, the company plans to build the structures 15 feet above sea level and store critical machinery on higher floors. Many climate models project Miami streets will be flooding daily by 2070. On Monday the Miami-Dade Tourism and Ports Committee approved a deal, but the full board of commissioners will vote on the proposal in May. If your Royal Caribbean cruise is taking you to Perfect Day at CocoCay, you are likely in that getting-super-excited stage of cruise planning. 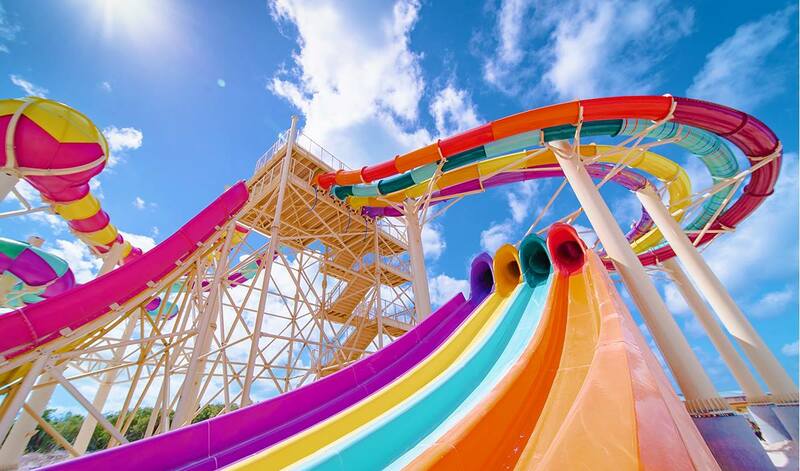 Before you try out all the fun experiences that Perfect Day at CocoCay has to offer, here are the important age, height and weight restrictions for the slides, rides and experiences at Perfect Day at CocoCay. Many of the island’s other experiences, such as Up, Up and Away helium balloon, Oasis Lagoon freshwater pool, and Captain Jill’s Galleon, are open to all guests. Daredevil's Peak waterslide 135 feet 48 inches minimum 300 lbs. Dueling Demons waterslides 75 feet 48 inches minimum 300 lbs. Screeching Serpent waterslide 50 feet 48 inches minimum 300 lbs. Green Mamba waterslide 50 feet 48 inches minimum 300 lbs. Manta Raycers waterslides 25 feet 40 inches minimum 300 lbs. Total raft weight limit: 550 lbs. Splash Speedway waterslides 40 feet 42 inches minimum 300 lbs. Splashaway Bay slides Maximum 42 inches 200 lbs. There is a lot of excitement about Royal Caribbean's transformation of its private island in the Bahamas, Perfect Day at CocoCay. Many of our readers are curious how much does Perfect Day at CocoCay cost, so we have a breakdown of what the new experiences will cost you. The good news is most of the experiences Royal Caribbean is offering at Perfect Day at CocoCay are complimentary and included with your cruise fare. 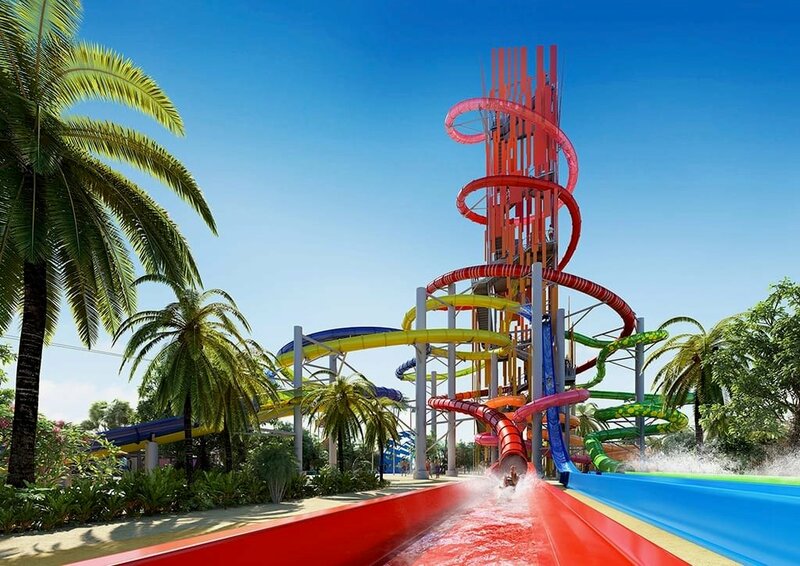 In addition to the classic beach day experience, Royal Caribbean has added the largest freshwater pool in the Caribbean, the shipwrecked Captain Jill’s Galleon loaded with slides and water cannons, the biggest ever Splashaway Bay aqua park yet, and new sports courts on South Beach. The beach experience at Perfect Day at CocoCay has not been overlooked, with enhanced Chill Island and South Beach, both offering plenty of free beach chairs and beachside activities. To go along with your fun in the sun, there are five new complimentary dining venues located throughout the island. In addition to what is included with your visit to Perfect Day at CocoCay, there are additional options that you can purchase. We have listed price estimates, and they can vary by season and are subject to change without notice. The exact pricing will vary from sailing to sailing, and exact prices can be found by visiting Royal Caribbean's Cruise Planner after booking your sailing. In fact, there could be savings found by pre-booking via the Cruise Planner. for up to 8 guests. If your idea of relaxation involves your own private spod in the shad, perhaps a cabana is what you want. In addition to the complimentary umbrellas, clamshells, and daybeds (available for a rental charge), you can find cabanas for rent at beaches, Thrill Waterpark, and Oasis Lagoon freshwater pool. The overwater cabanas at Coco Beach Club take the cabana experience to a whole new level, accomodating up toeight guests and comes with attendant service, a private hammock, a minibar, and your own personal slide into the sea. If you reserve a cabana at Thrill Waterpark, you’ll enjoy complimentary entry to all of the slides and activities inside for up to six guests. If you reserve a cabana at Coco Beach Club (including the overwater cabanas), you’ll enjoy complimentary access to the club for up to eight guests. We begin with this look at a sunset from Freedom of the Seas, taken on Deck 13 by Joe Moran. Kinny Lee shared this photo of Central Park in the early morning hours on Allure of the Seas. Here is a look from the aft of Radiance of the Seas sailing through Doubtful Sound in New Zealand. Photo by Carl Green. Our next photo is by Jeff L. and it is of Brilliance of the Seas docking next to Independence of the Seas. David Donnelly snapped this fun shot of the Boardwalk on Harmony of the Seas. Francois St-Onge took this panoramic photo of Allure of the Seas in Nassau (as seen from Navigator of the Seas). Our final photo this week is by Rich Weiss and is of the sun setting over the bow of Freedom of the Seas. 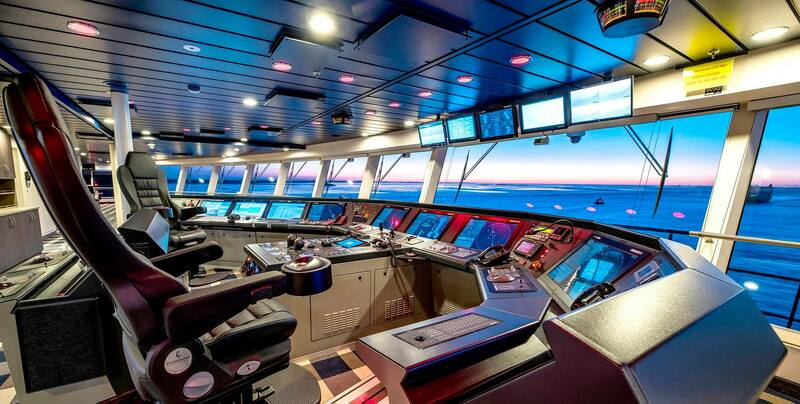 Photo taken from Harmony of the Seas. Video: Spectrum of the Seas is Officially Delivered! 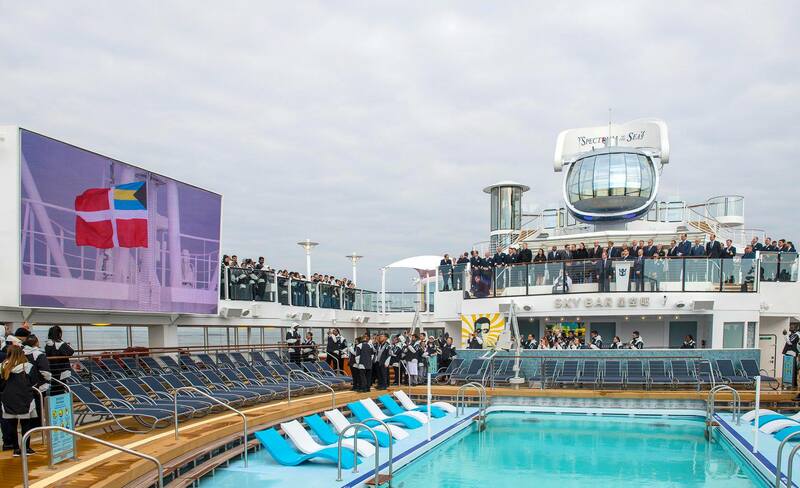 Royal Caribbean took delivery today of its first Quantum Ultra Class cruise ship, Spectrum of the Seas. 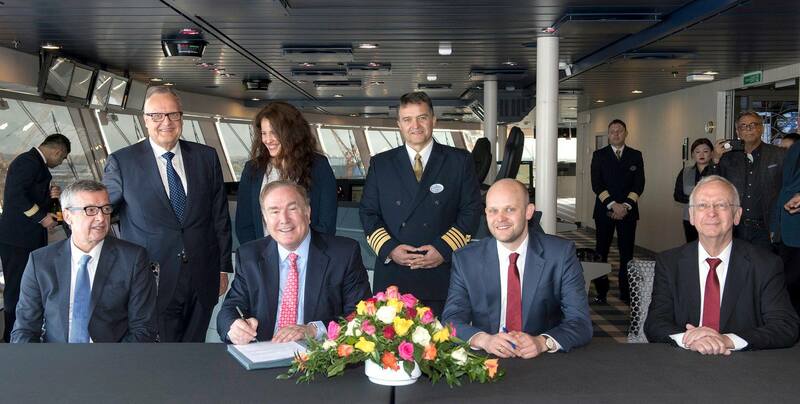 At a ceremony in Bremerhaven, Meyer Werft shipyard handed over Spectrum of the Seas to Royal Caribbean's leadership team. The first cruise ship of the Quantrum-Ultra class has a rating of 169,000 GRT; it measures 347.1 m in length and 41.4 m in width, with capacity for 4,246 passengers. 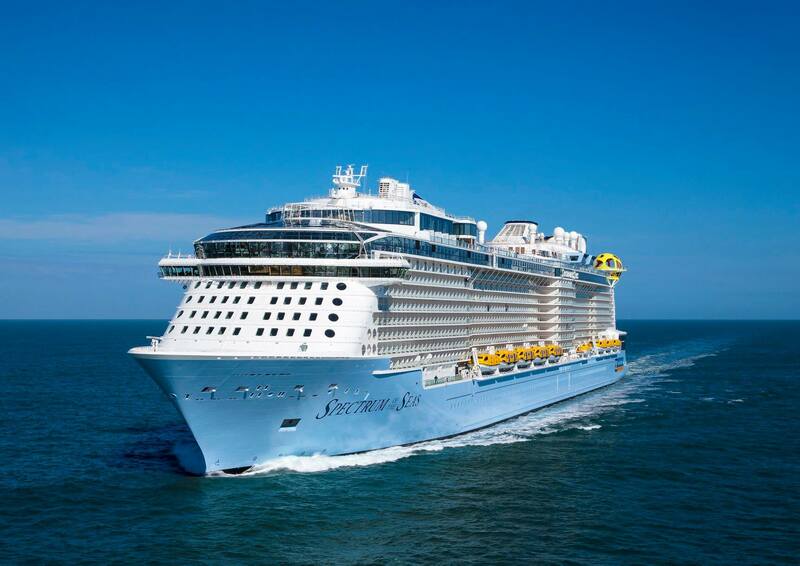 As a further development of Quantum-Class, Spectrum of the Seas is fitted with state-of-the-art emission control systems such as the a hybrid scrubber. Energy-efficient technical systems, optimized hydrodynamics, heat recovery and exceedingly effective underwater paintwork together with an extremely energy-saving LED lighting system result in considerable energy savings. 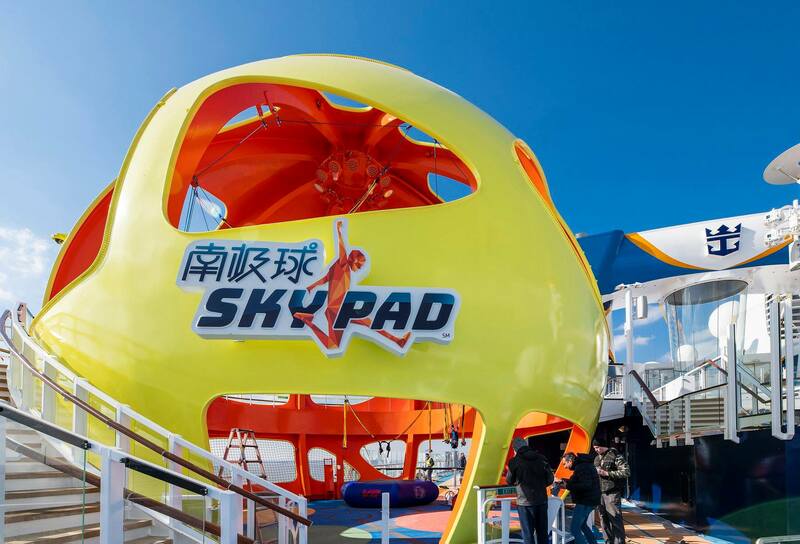 A diesel/electric pod drive, extensive alarm and safety systems, interactive communication systems and the very latest stage equipment guarantee safety and entertainment on board in accordance with the highest technical standards. 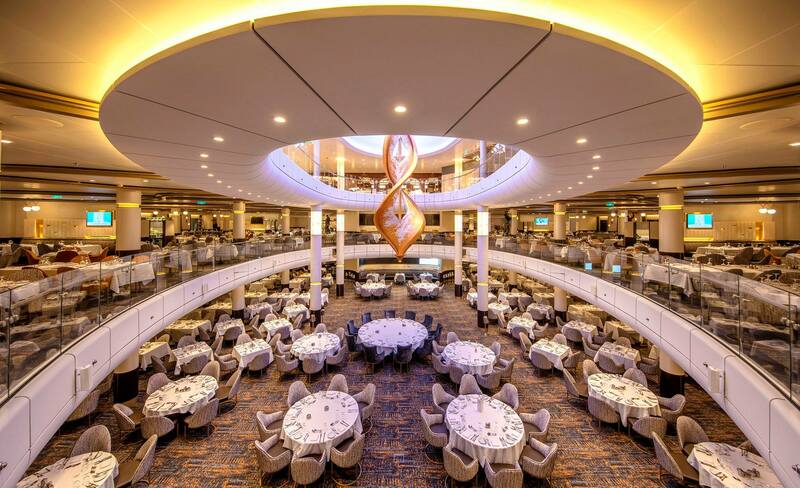 The cruise ship has 18 decks with 2,137 cabins offering space for 4,246 passengers in double occupancy. After being handed over to the shipping company, Spectrum of the Seas will be leaving Bremerhaven. The maiden voyage to Asia will begin in Barcelona on April 18. The chat feature is currently only available on Harmony of the Seas and Allure of the Seas while it is being developed and tested. 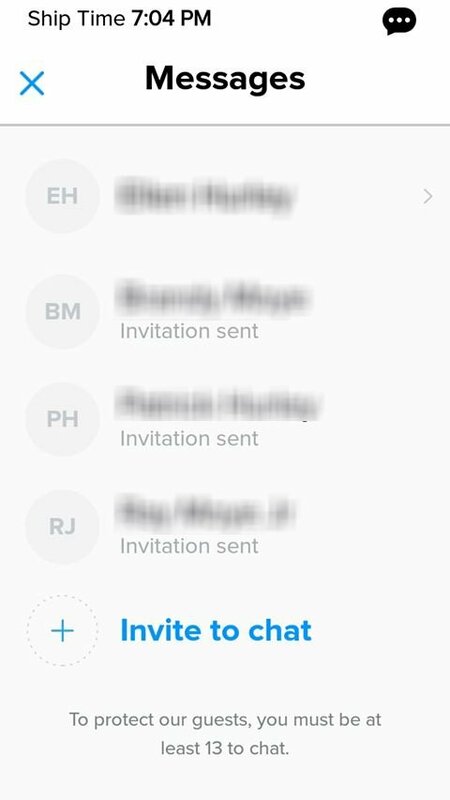 Eventually, all Royal Caribbean ships will have access to the app, along with chat, however there is no timetable provided for when each ship and/or feature will be released.